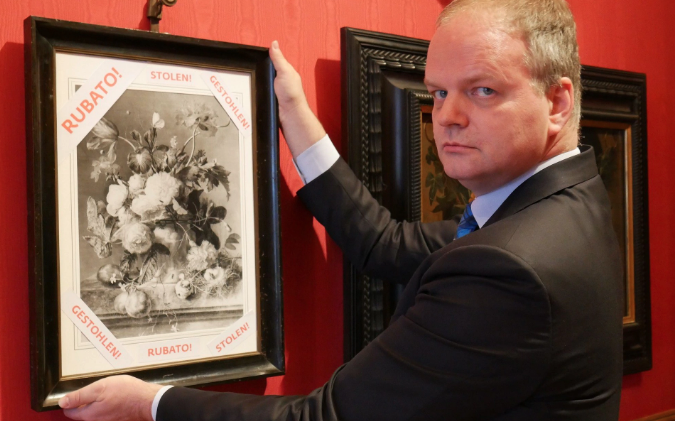 The Uffizi Gallery in Florence has reached out to to German officials in an effort to retrieve a stolen 18th century Dutch painting from a German family. 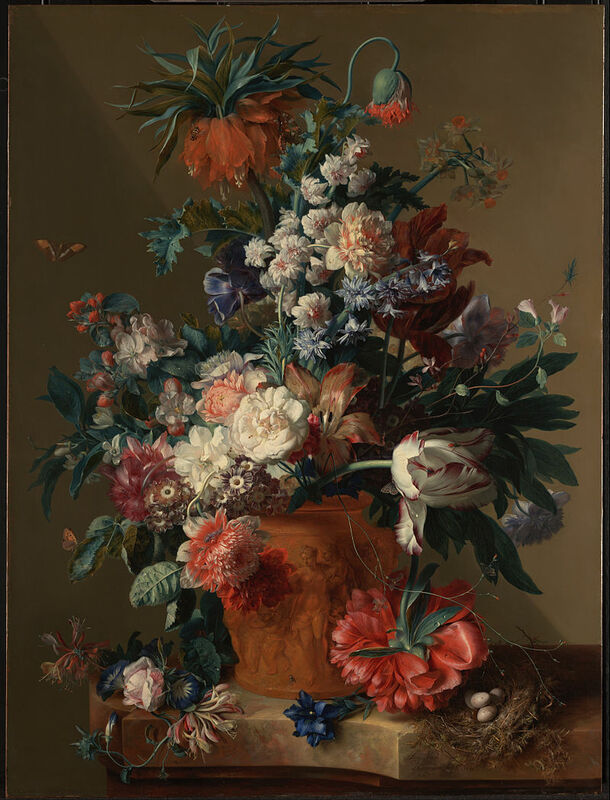 The oil painting, 'Vase of Flowers' by Dutch painter Jan van Huysum, has been the subject of much controversy over the last few decades as numerous requests for return by the Italian state have been ignored by the German citizens in possession of the art piece that was stolen during World War II. Originally, ‘Vase of Flowers” was part of a collection owned by another well-known Florence museum, the Palazzo Pitti and measured a modest 18x14 inches. After being shipped to Germany the work's whereabouts remained unknown until 1991, after Germany was reunified following the war. Currently, a black and white copy of A Vase of Flowers" was hung Tuesday at the Uffizi Gallery (located adjacent to the Piazza della Signoria in the Historic Centre of Florence in the region of Tuscany, Italy), with the word "stolen" in English, German and Italian on it with a brief explanation informing viewers of that the work was stolen by Nazi soldiers in 1944 and is now in a German private collection. We hope you’ve enjoyed learning about how Italy is demanding that “A Vase of Flowers” is sent home in Return to Sender! Do you believe the German government has an obligation to return the painting to Italy? Join the conversation below!